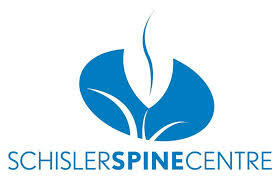 At Schisler Spine Centre we offer advanced technology for the non-surgical treatment of chronic diseases and conditions such as Herniated/Bulging Discs, Degenerative Disc Disease, Sciatica, Carpal Tunnel, etc. At our clinic you will find caring and dedicated Practitioners and staff who will do their best to help you reduce your pain and improve your quality of life! Whether you need treatment for chronic pain from herniated or bulging discs, medical stregthening, chiropractic or massage therapy to deal with pain and discomfort, support for inflammation, and/or nutritional support for for chronic diseases such as fibromyalgia, we offer our patients a variety of medical equipment and treatments administered with the most experience and care in Windsor, Ontario. Dr. Schisler, RMTs and the staff work closely together to bring you the most revolutionary treatments available for these conditions.